We’d like to start off this post with homage to the great chef and adventurer Anthony Bourdain, who recently passed away. Tony had been an inspiration in our travels; his shows taught us to do things that scared us – from camping in the Sahara and trying out blood soup in Thailand to hitching a ride at the back of a pickup truck in California and eating horse sashimi in Japan. We always entertained the idea of one day sharing food with him in some obscure corner of the world as we talk about life. Rest in peace, Anthony Bourdain…it’s been a wild ride. Before we embarked on the 20-hour train ride to Santa Fe, we re-watched an episode of Anthony Bourdain’s Parts Unknown that explored New Mexico. 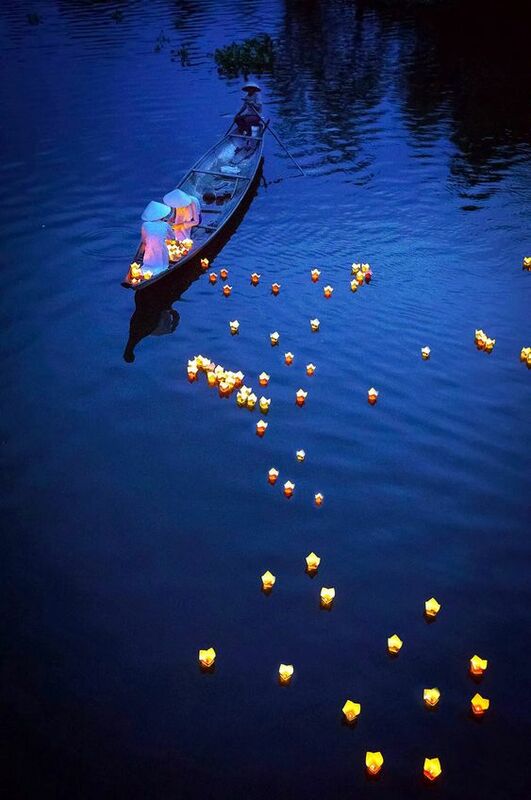 For inspiration, we thought…and we were inspired. 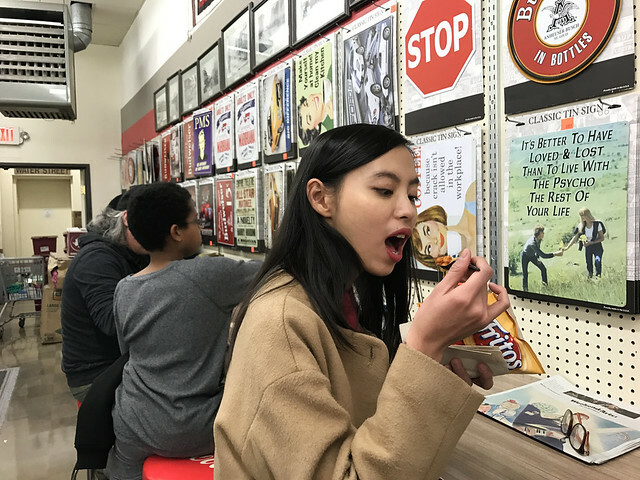 When we crossed the Five and Dime Store by the Plaza, we stopped for a bite of Frito Pie –homemade chili and heaping “dayglo orange cheese-like substance” served in an open Fritos bag – the same kind that Tony ate in Parts Unknown. 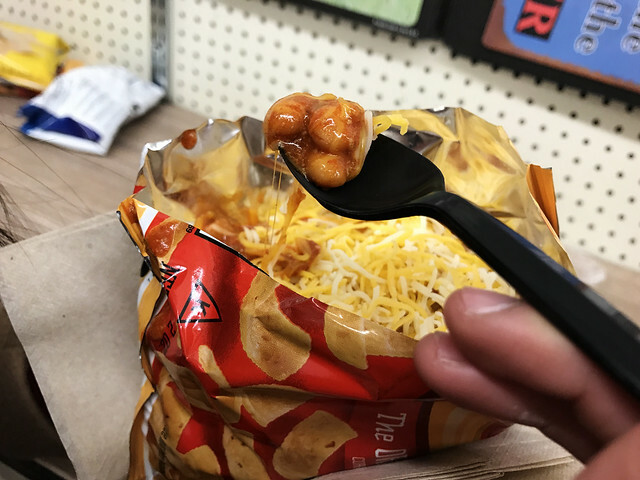 It was ridiculously good and strangely filling. We came back the next day for more! Green and red salsa combined create a great accompaniment to tacos and rice and any other New Mexican combination that you can think of. 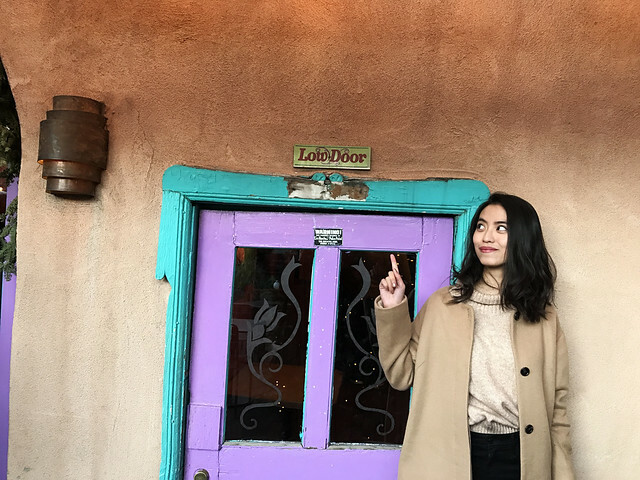 Our favorite place was The Shed, recommended by four different people while we were in Santa Fe! 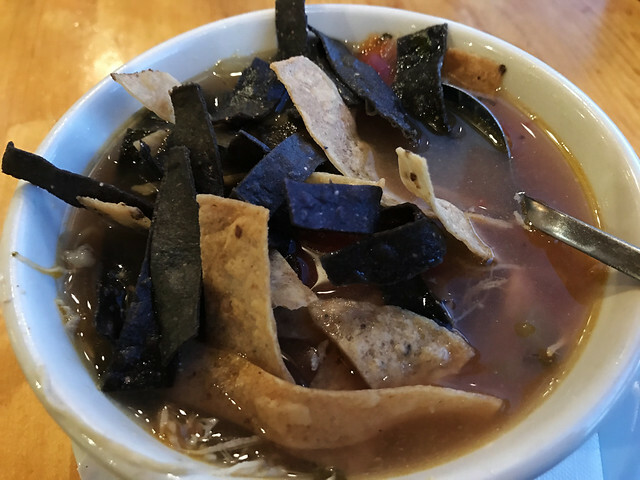 From tortilla to chili soup to enchiladas, there are unlimited types that you can sample. 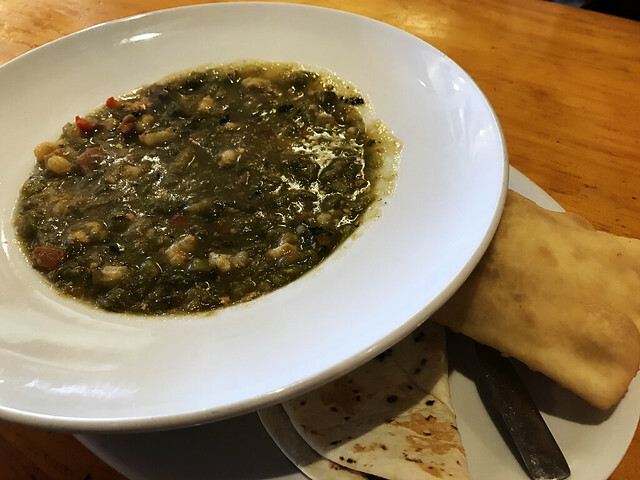 Eat with a side of pita bread or sopaipilla – it doesn’t get better than that. A type of fried pastry hailing from Spain, sopaipilla is a versatile meal – drench it in honey and enjoy a sweet dessert, use it to mop leftover salsa or eat it with soup. Our Airbnb host recommended the chocolate at Kakawa and we weren’t disappointed. 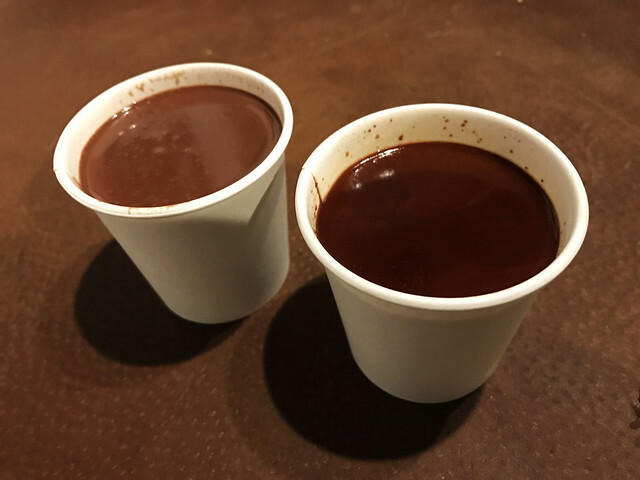 We came near closing time and got two kinds of spiced chocolate drinks in the style of traditional Mesoamerican chocolate recipes; as we were sipping our hot chocolate, an employee came by and offered us their leftover drinks! 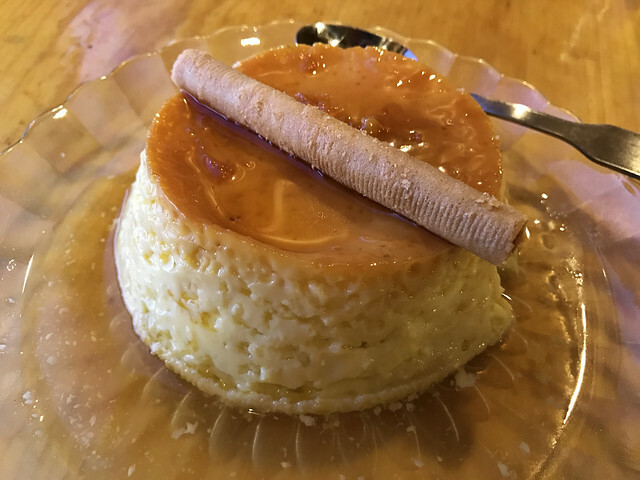 No meal is complete without dessert and our favorite from Santa Fe had to be the flan we had at Blue Corn Cafe. There are also ice creams galore…no matter where you go in Santa Fe, you’ll always have plenty to eat! 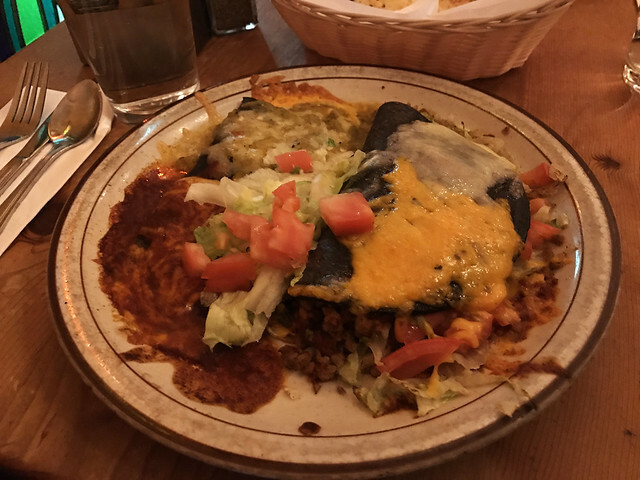 This entry was posted in Food and tagged america, anthony bourdain, frito pie, mypassengerdiaries, santa fe, santa fe food, travel blog, traveling twins, twins, twins travel, twins who travel, what to eat in santa fe. Bookmark the permalink. Lovely post. I enjoyed retrieving memories of past fun in Santa Fe. 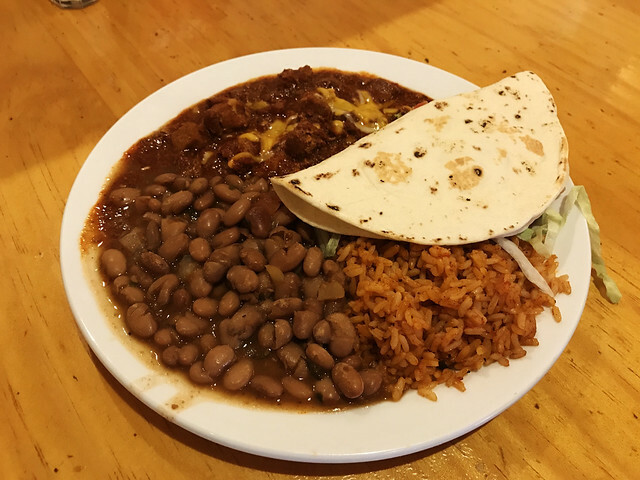 We passed through New Mexico on our way from Texas to Arizona – and I so want to go back – food being part of it.